The Penguin Huddle is a new design by Jasper Morrison for SCP, created in partnership with Penguin. The collaboration began when SCP were invited by the publishing company to create a new home for books. The result is an original design by Jasper Morrison named the Penguin Huddle, with ‘Huddle’ being the collective noun for a group of Penguins. 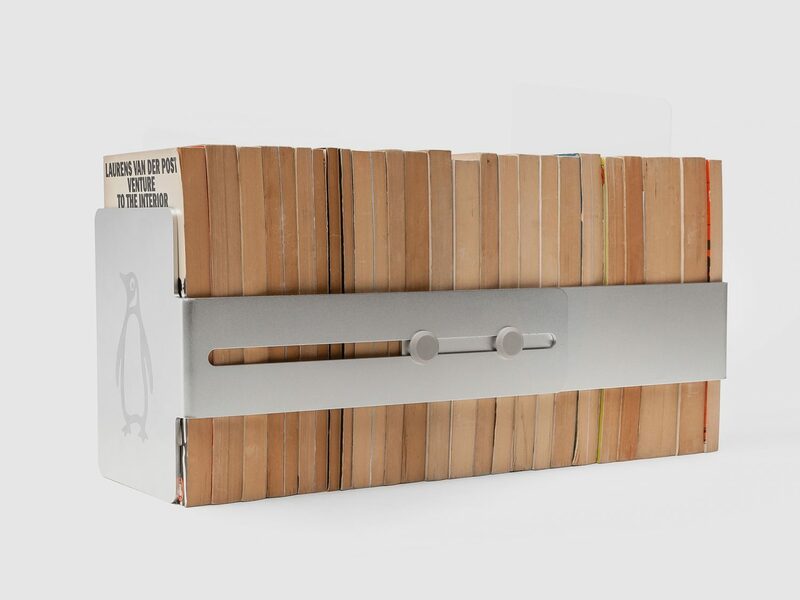 It is a portable shelf that provides a new way to store books and can be placed anywhere around the home or workplace. 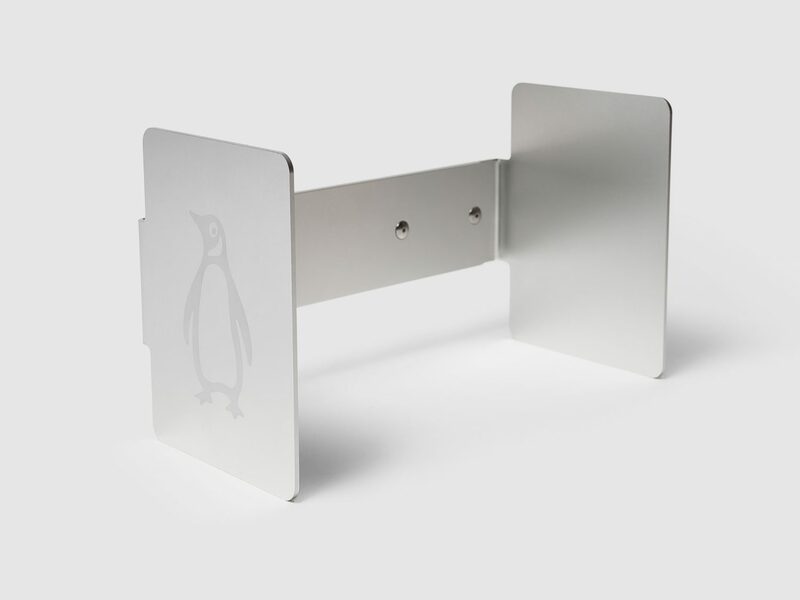 The Penguin Huddle is made from two sections of folded aluminium joined together with a sliding mechanism. It can hold between 15 and 25 books and accommodates paperbacks of all sizes. It features a laser-etched Penguin logo on either end. 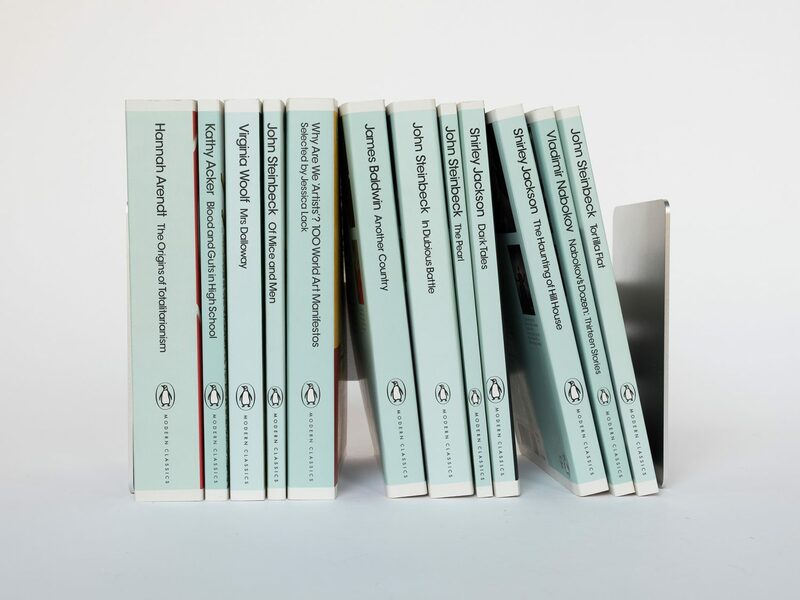 Penguin has worked with designers and producers on non-book products in the past, from the ubiquitous mugs and tote bags to the famous Isokon Penguin Donkey shelving unit first produced in 1939. The Huddle is a product for now and the way we display books at home but also for the future. The unit can expand to accommodate more books as a reader’s collection grows with the books, rather than the bookshelf itself, returning to the centre of attention. Manufactured by SCP, the Penguin Huddle was launched during London Design Festival 2017, and will be available to purchase from early 2018. The idea for Penguin Books came in 1935 when Allen Lane famously found himself with no good reading options on the platform at Exeter Station. 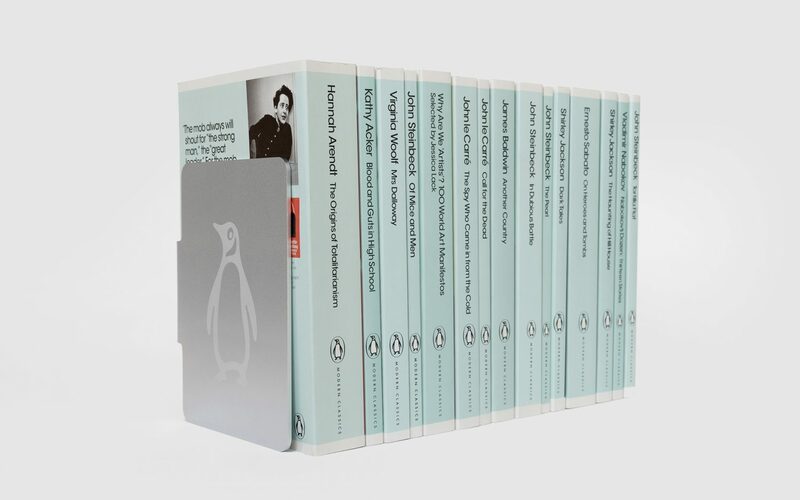 Ever since it has been the ambition of Penguin to create well-designed editions of high quality works accessible to as many readers as possible. The Penguin Classics imprint was established in 1946, featuring pre-twentieth century texts from around the world. From this the Modern Classics series developed, launched in 1961, reflecting changing perceptions of what a classic can be. From the scandalous to the haunting, each is a groundbreaking and inspiring work from the greatest authors of the twentieth century. 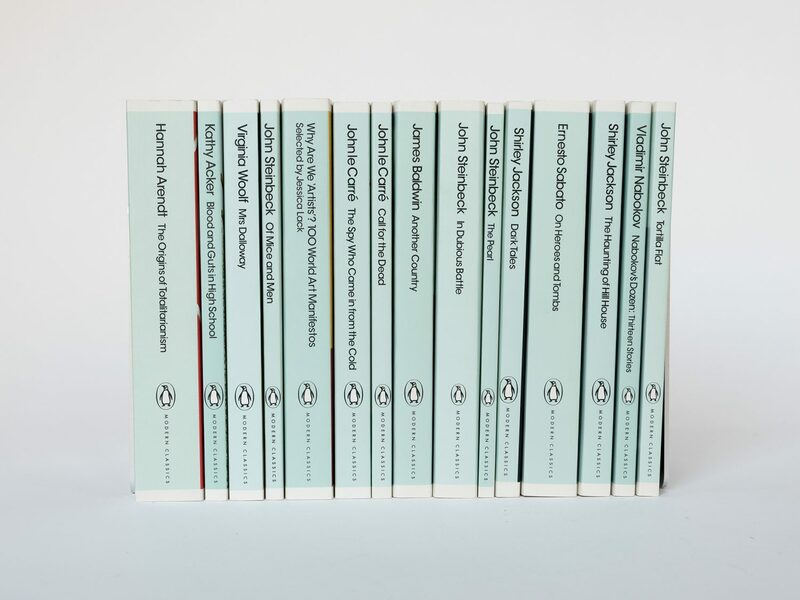 The Penguin Modern Classics themselves have become design icons and are a rite of passage for many people discovering themselves as readers. Jasper Morrison is a leading British designer, best known for his work in furniture, lighting, electrical products and tableware. Born in London in 1959, Jasper Morrison graduated in Design at Kingston Polytechnic Design School in 1982 before he went on to study at the RCA in London and HdK, Berlin. He established his own London-based design studio in 1986. Known for minimal designs, Morrison has now a well-established international reputation as a designer and has been working for clients such as Flos, Magis and Vitra.